One would say that the Greek Orthodox Church is rather conservative and doesn’t keep pace with technology, but it appears that things are starting to change. The Archdiocese of Athens, trying to reduce bureaucracy, has created a communication network. The Greek Orthodox Church is entering the digital age by enabling the request of various church documents, like baptism certificates, online. According to the newspaper Eleftherotypia, the project has cost 1.4 million euros and is being supported by European Union structural funds. 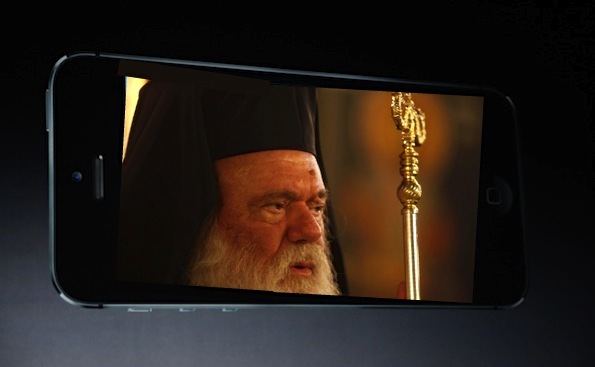 It is being carried out by Athens Archdiocese, which has contracted Byte Computers to complete the nine month job. The project is already being piloted in 10 of the archdiocese’s 166 parishes in Athens. Citizens can submit an online application for marriage, baptism, divorce license or other documents. The parishes that the project is being piloted are: Aghios Dionisios Areopagite in Kolonaki, Kimisis Theotokou in Holargos, Prophete Ilias in Aghia Paraskeui, Evaggelistis Loukas in Patisia, Aghia Filothei in Filothei, Aghia Sophia in Psichiko, Aghios Ioannis in Vouliagmeni, Aghia Irini in Aiolou Street and Aghios Nikolaos in Kallithea. Athens Archdiocese is aiming to extend the program to the rest parishes.